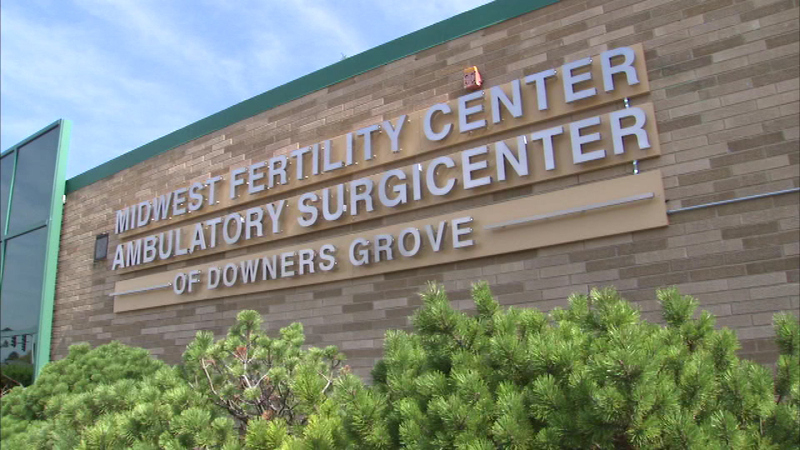 DOWNERS GROVE, Ill. (WLS) -- A sperm bank in the western suburbs being taken to court for giving a White couple sperm from an African-American donor says the suit should be thrown out because the baby is healthy. Lawyers for the Midwest Sperm Bank in Downers Grove said state law only allows for damages related to the health of a baby. Jennifer Cramblett became pregnant in 2011 with sperm she thought was from a White donor. The bank says a handwriting mistake led to the mix-up. The case is due in court next week.